Chocolate Glazed Donut Keurig Kcup coffee…sound delicious? Your readers will think so too, especially since it is on sale! 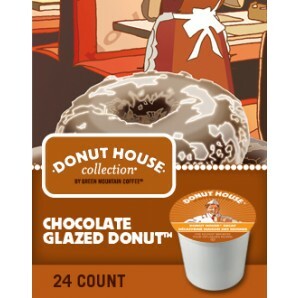 Donut House Collection Chocolate Glazed Donut is on sale for $11.99 per box of 24! Chocolate Glazed Donut is a combo that’s hard to resist. A fresh chocolate donut, topped with a sweet, sugar glaze, dunked into your mug. 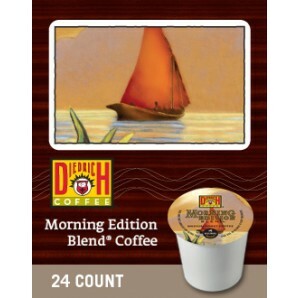 Diedrich Morning Edition is on sale for $9.99 per box of 24! Worth waking up for, Morning Edition K-Cups from Diedrich Coffee give you a cup of full bodied medium roast Arabica coffee with hints of creamy vanilla, and leathery spicy aromas. Sale runs Wed. Oct 16th thru Tues., Oct. 22nd at midnight EST.